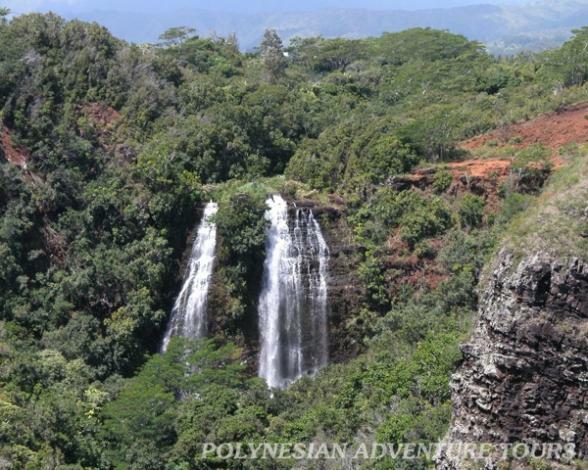 On this Kauai Tour you will enjoy a day filled with the lush beauty, legends and saga of Hawaii's "Garden Isle." 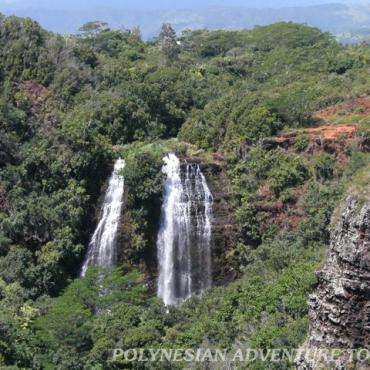 Journey to the majestic Waimea Canyon, which Mark Twain called, "the Grand Canyon of the Pacific". Over 10 miles long, and almost 4,000 feet deep this marvel was formed by erosion and the catastrophic collapse of the volcano that created Kauai. You will see Spouting Horn and the south coast Poipu Resorts, Koloa Sugar Mill, Queen Victoria's profile and Nawiliwili Harbor. Your journey continues with a cruise along Wailua River to the famed Fern Grotto. See the cascading Opaeka`a Falls, the birth stones, and Coco Palms featured in the famous Elvis Presley movie, Blue Hawaii. Pick up is provided from major Kauai hotels. *Passengers in the Poipu area will not see Koloa Sugar Mill, Queen Victoria's profile. No host lunch.